Glasgow is Scotland’s largest city and home to nearly 600,000 people (in 2011) with nearly 1.2 million living in the Greater Glasgow area. The city is located on the River Clyde in West Central Scotland. The site of today’s Glasgow and the surrounding area have been inhabited for thousands of year. In the 2nd century, Romans built the Antonine Wall nearby (its remains can still be seen). Glasgow was founded in the 6th century by Christian missionary Saint Mungo. The name of the city is thought to had been derived from “glas cou” (Cumbric or Middle Gaelic) which translates into “green hollow”. 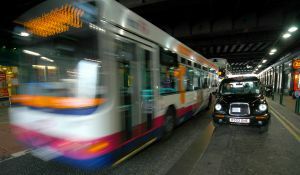 The city centre lies between the High Street in the east, the M8 motorway in the west and north, and River Clyde in the south. The city centre is home to the majority of Glasgow’s main attractions including the Glasgow Royal Concert Hall, Gallery of Modern Art, the Theatre Royal, King’s Theatre, Lighthouse Museum of Architecture and Centre for Contemporary Arts, to mention only a few. Glasgow lies on the same latitude as Moscow but it has a much warmer climate due to the Gulf Stream. Winters are cool but there are only a few days below freezing. Snow on the ground is rare and short-lived. Weather during the summer tends to vary greatly from quite cool and wet to very warm on sunny days. Glasgow is among the top 10 Europe’s financial centres. The city has the strongest economy in Scotland and the third highest GDP per capita in the UK. Glasgow is home to some of the most elite higher education institutions. Four academies are within 10 miles of the heart of the city: University of Glasgow, University of the West of Scotland, Glasgow Caledonian University and University of Strathclyde. Glasgow is home to many world-class cultural institutions, art galleries, museums and theatres as well as the host of a number of cultural festivals and events which are held throughout the year. The city is known for its outstanding music scene for which it was named the “UNESCO City of Music”. 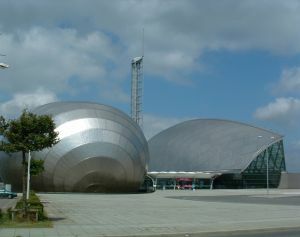 The largest music venues include the SECC, King Tut’s Wah Wah Hut, the Glasgow Royal Concert Hall and The Garage (Scotland’s largest nightclub), to mention only a few. Glasgow was the host of the first international football match (between Scotland and England) in 1872. In 2014, Glasgow will host the Commonwealth Games.